A wound that'd make an ordinary man unconscious... I won't lose to it. A wound that would kill an ordinary person... I won't lose to it! To face one who is extraordinary, Hawk Eyes... I can't allow myself to be ordinary! 06:03 PM - Nekomamushi tagged Spiegel in thread RP Is Back! 06:35 PM - Gir quoted Spiegel in post Queen's Devil Fruit - The guessing game. 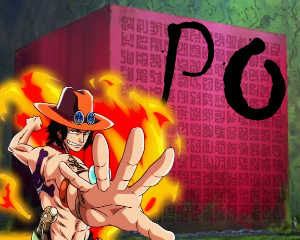 10:07 AM - Overhaul quoted Spiegel in post Queen's Devil Fruit - The guessing game. 09:26 PM - Spiegel quoted Overhaul in post Is The Shogun First Mate level or Above? 03:09 PM - Overhaul quoted Spiegel in post Is The Shogun First Mate level or Above? 02:41 PM - Spiegel quoted Overhaul in post Is The Shogun First Mate level or Above? 11:11 AM - Overhaul quoted Spiegel in post Is The Shogun First Mate level or Above? 10:41 AM - Yomi quoted Spiegel in post Is The Shogun First Mate level or Above? 04:39 AM - Spiegel quoted Yomi in post Is The Shogun First Mate level or Above? For the practice OPD game!